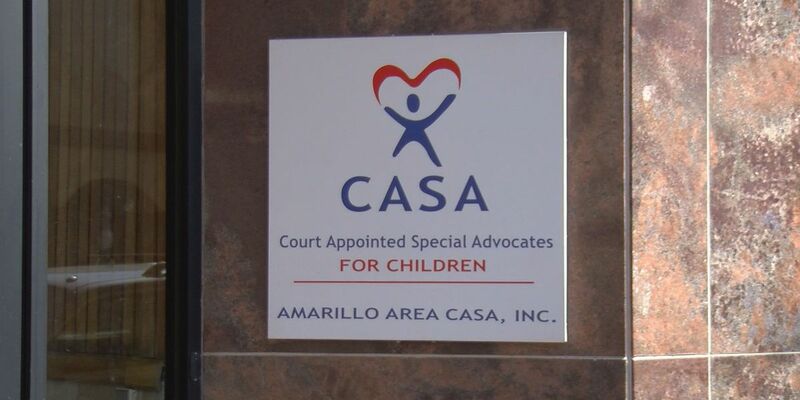 AMARILLO, TX (KFDA) - The Amarillo Area Court Appointed Special Advocates (CASA) has just welcomed nine new advocates to help area children out of foster care but they are still looking for more volunteers. Even with these new volunteers, the association is still serving less than 50 percent of the children in our area. "Those nine new advocates are going to go on and help about 17 to 20 children in the local foster care system," said CASA's Director of Recruitment, Kelsi Vines. "So, we are very excited about have nine new advocates, but we are even more excited for the 20 kids that are now going to have a voice." According to Child Protective Services (CPS), more than 20 children are referred to foster homes every day. CASA estimates that they will need about 85 more volunteers to be able to help the 230 children that are currently in need of care in Potter and Randall counties. "We want to make sure that the judges are no longer having to look at a case and feel that they can't call CASA because there's no volunteers," Vines said. "We want the judge to be able to call us every single time he or she receives a new kid in the foster care system." Vines said that the need for more volunteers is great and worries for the child if they don't have a CASA as they go through foster care. "When a child doesn't have a CASA volunteer, they are more likely to stay in foster care longer," Vines said. "They are more likely to bounce back between their home and foster care. We've seen children without CASAs, return because the situation actually had not been corrected in their biological homes." When a child is removed from their home, these CASA advocates will act as a counselor. Within a year or more, these volunteers will learn about the child's life and interests to help make sure they are cared for and get out of foster care as quickly as possible. "So, our volunteers are going to be before the judge with up-to-date information with unique knowledge of that child as an individual," Vines said. "This helps court cases move more quickly." To attract more volunteers, CASA has made training more flexible. They hold information sessions twice a month and hold training at night and during the weekends. They only require 30 hours of training in class and 10 hours online. After these sessions, the volunteers will then be able to pick a child who they care for. The Amarillo Area CASA serves 7 different counties and is in need of volunteers throughout the Texas Panhandle. The next training session will be Feb. 18 from 8 a.m. until 6 p.m. If you want to learn more about the association or the training sessions you can visit the CASA website.